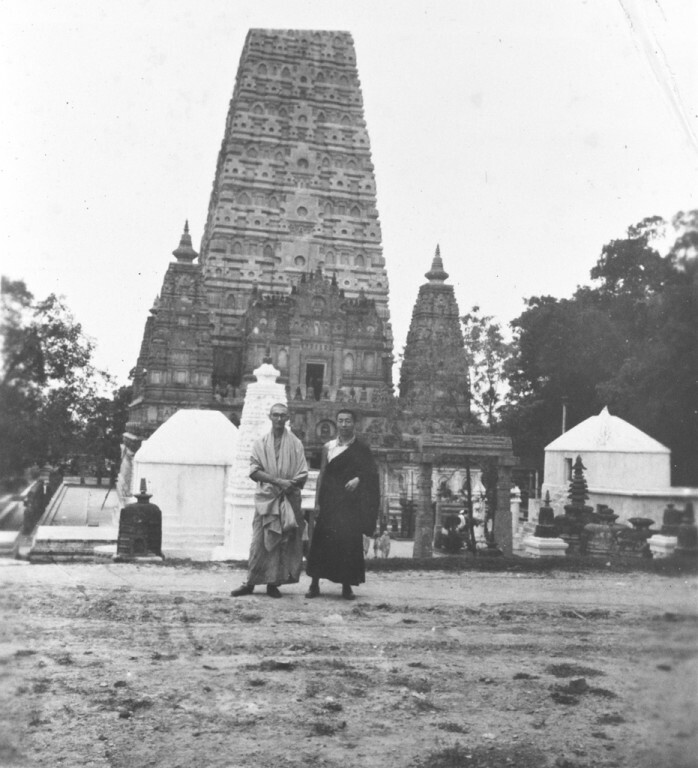 Sangharakshita received novice ordination as a Theravadin monk from U Chandramani at Kusinagara, India, in 1949. 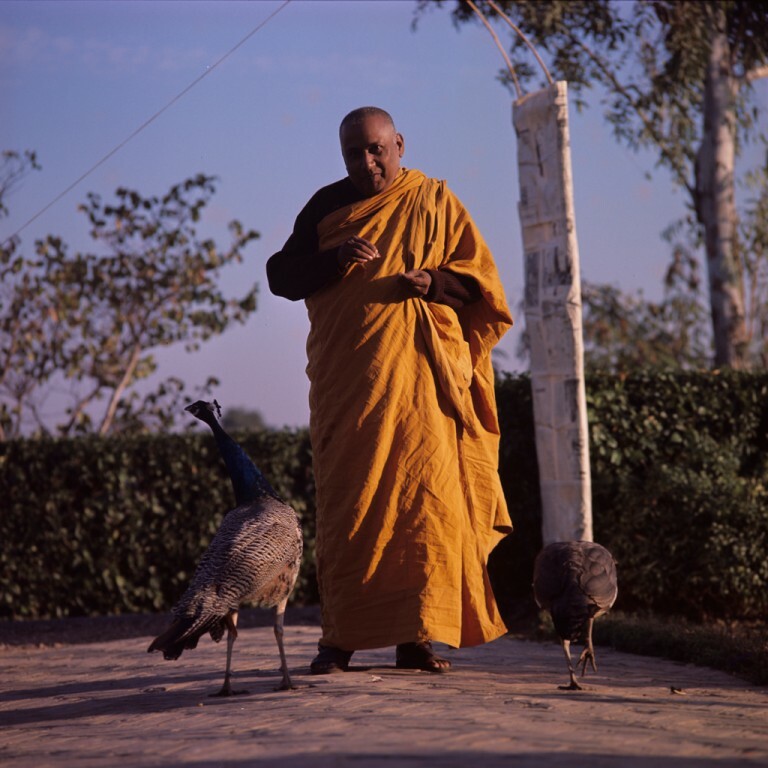 A year later, aged 25, he was fully ordained as a Theravadin bhikkhu in Sarnath – where the Buddha first taught the Dharma. He was given the name Sangharakshita, which means ‘Protector of (or protected by) the Spiritual Community’. 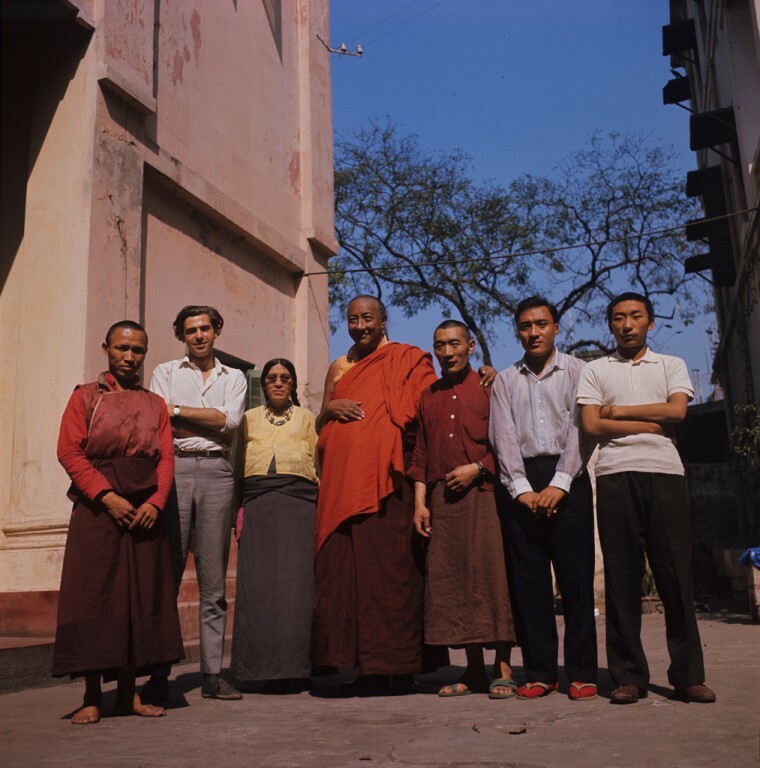 His first teacher was the Theravadin scholar/monk Bhikkhu Jagdish Kashyap, with whom he lived and studied Pali, logic and Buddhist philosophy at Benares. 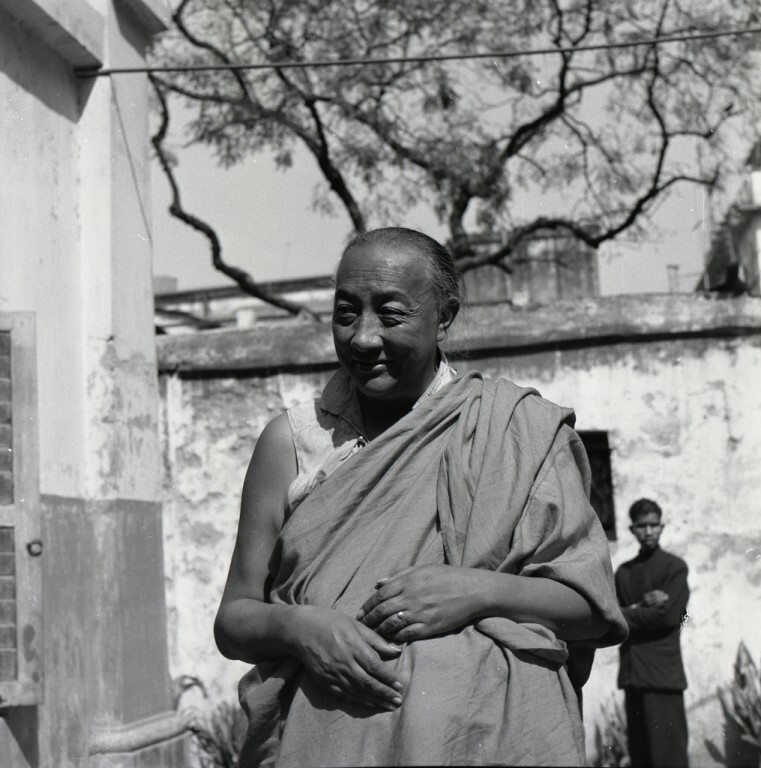 After higher ordination, on the advice of Jagdish Kashyap, Sangaharakshita moved to the Himalayan border town of Kalimpong, to work for the good of Buddhism. Sangharakshita set up a vihara, where he lived an active life while following the Vinaya (monastic code). He meditated at least morning and night, studied and reflected on the Dharma, and each year observed the traditional Rains Retreat, remaining at his vihara for three months. 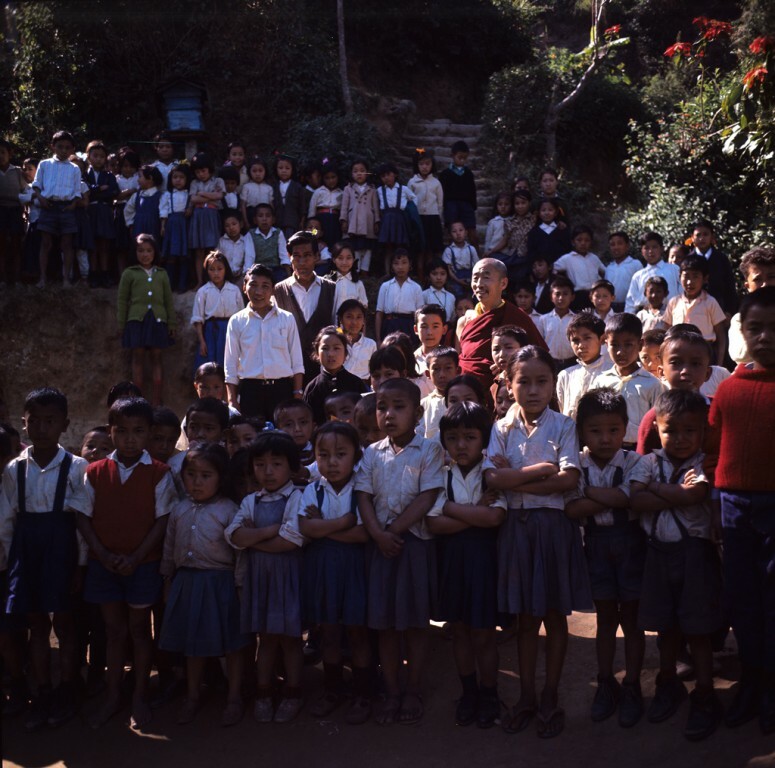 In Kalimpong he met numerous eminent Buddhists, seven of whom became his teachers. 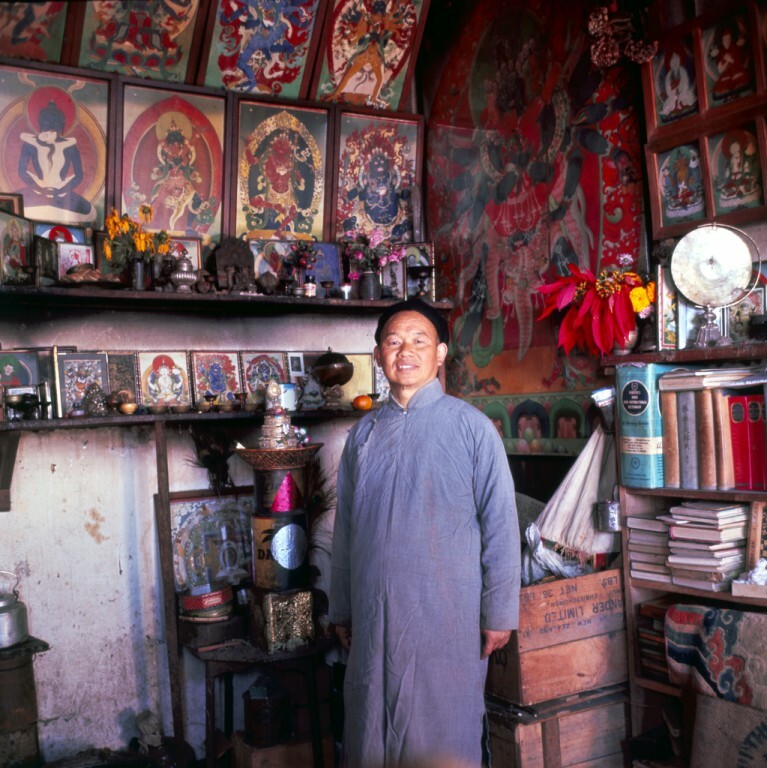 master, he was a chief exponent of the Rime movement, which brought together the different Tibetan schools to create a more unified tradition. Sangharakshita met him in 1957 and received several initiations from him. Due to Jamyang Khyentse’s spiritual eminence and the significance of these initiations, Sangharakshita regards him as his ‘root guru’. 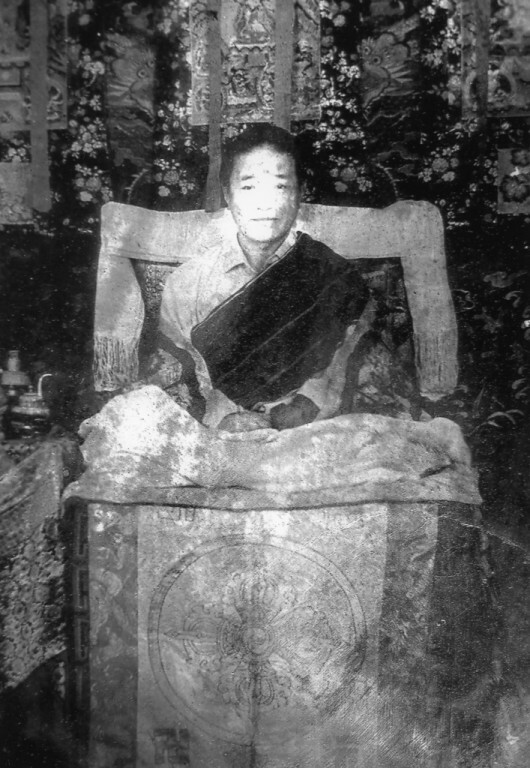 One of Jamyang Khyentse’s chief disciples was Kachu Rimpoche, Abbot of the royal monastery of Sikkim. A man of great learning, renowned as a deep meditator and visionary, and a gifted sculptor. Rimpoche went out of his way to befriend Sangharakshita. 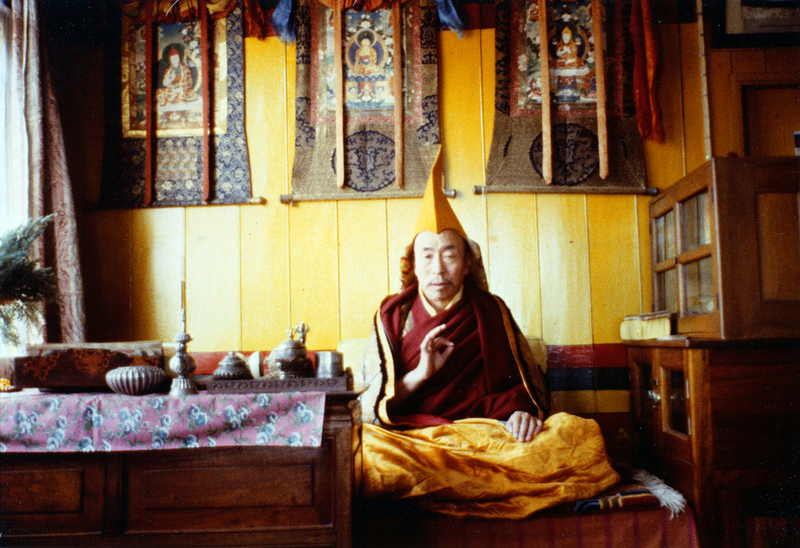 In 1960, on Jampyang Khyentse’s recommendation, Kachu Rimpoche initiated Sangharakshita into the practice of Guru Padmasambhava. At the same time Kachu Rimpoche gave Sangharakshita a new name: Urgyen, the name of Padmasambhava’s mythical homeland. ordination in 1962. 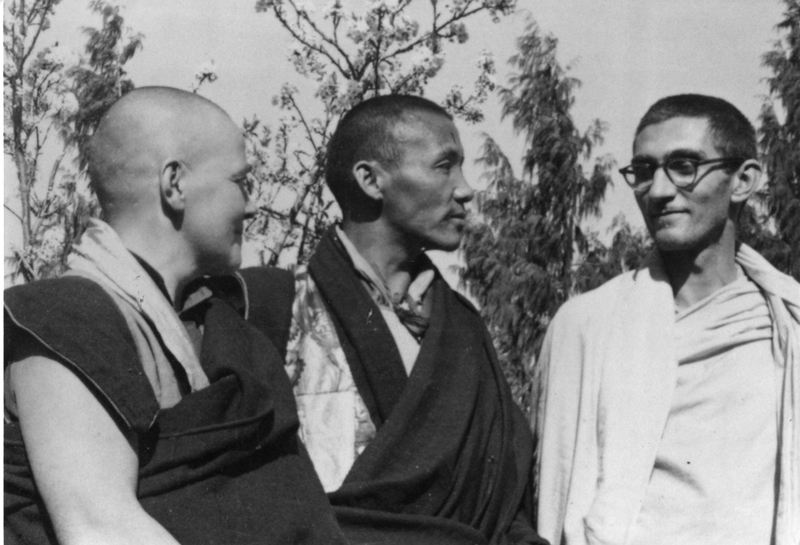 Dhardo Rimpoche was eager that Sangharakshita return to the West to spread the Dharma, describing him as ‘a very big spiritual person’. 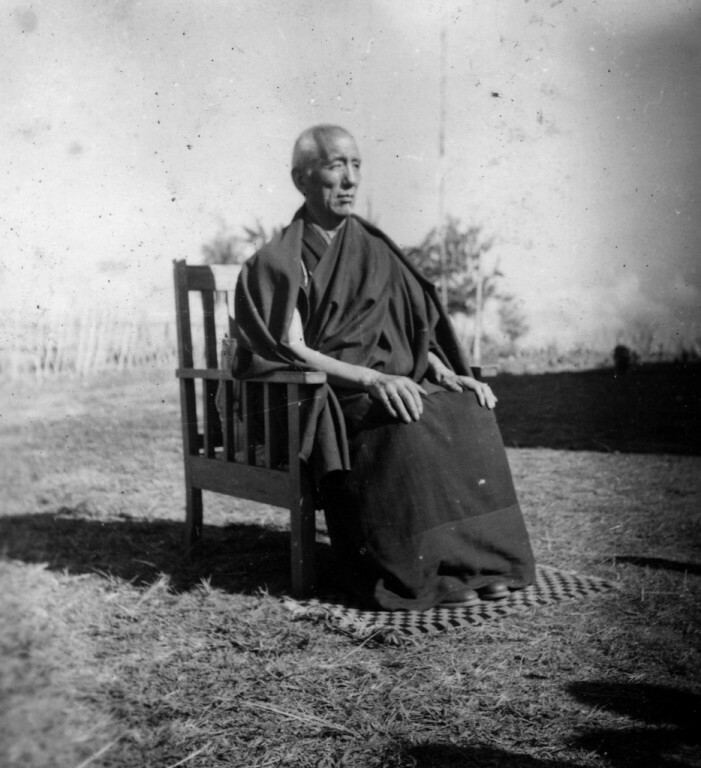 He subsequently always felt a strong link to the (then) Western Buddhist Order, even regarding Sangharakshita’s disciples (many of whom he met) as disciples of his own. Read and listen to more about Dhardo in The Message of Dhardo Rimpoche. 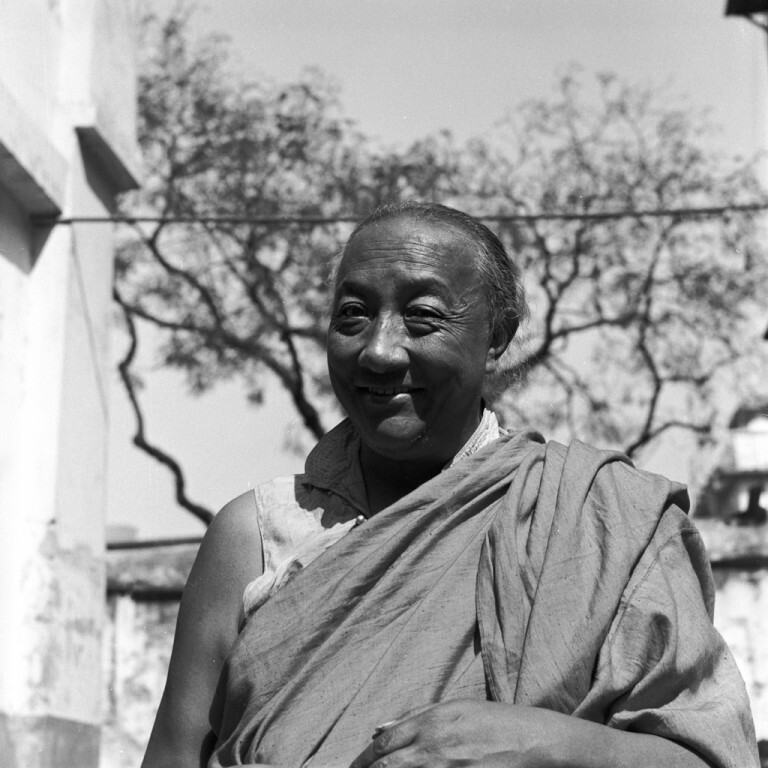 Dilgo Khyentse Rimpoche was regarded as one of the greatest Dzogchen masters of the 20th century. 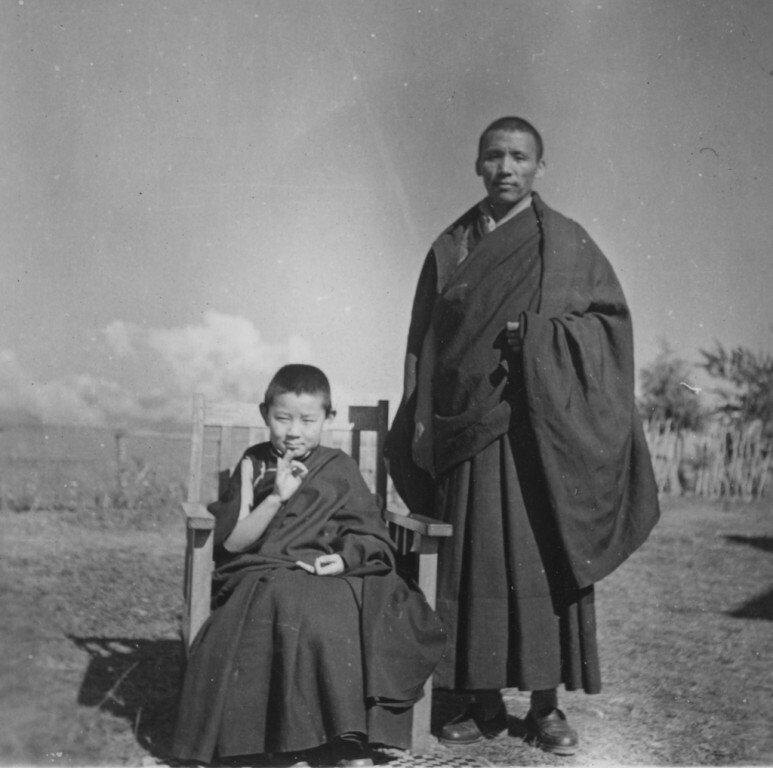 As a youth he spent 13 years in caves on solitary retreat and later in exile (despite his wide following) Dilgo Khyentse lived in great poverty. He had an extremely kind, unassuming character, and Sangharakshita regards him as one of the most impressive people he’s met. 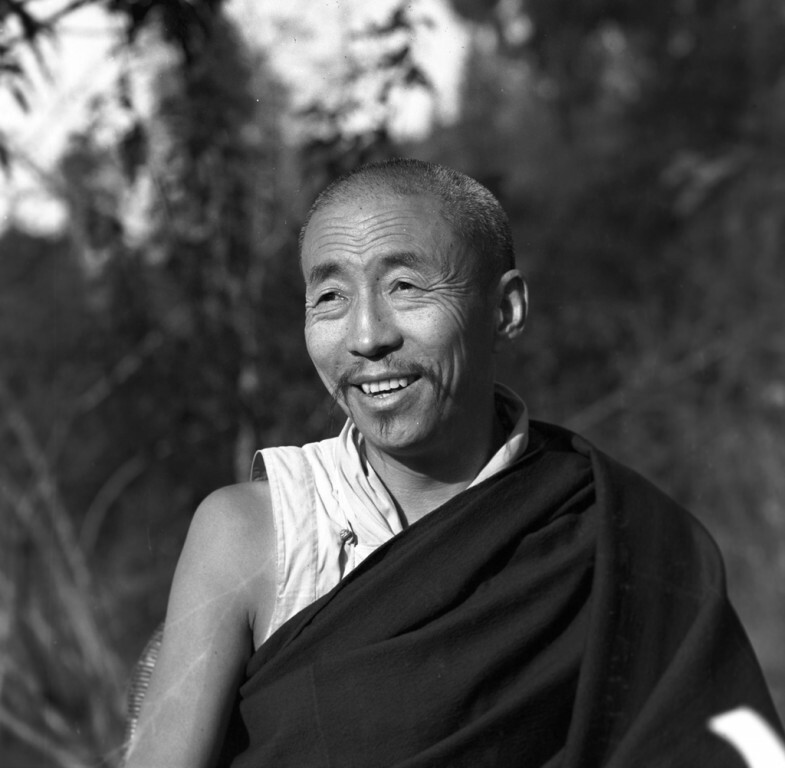 Dilgo Khyentse was a man of great learning and author of many scriptural commentaries. 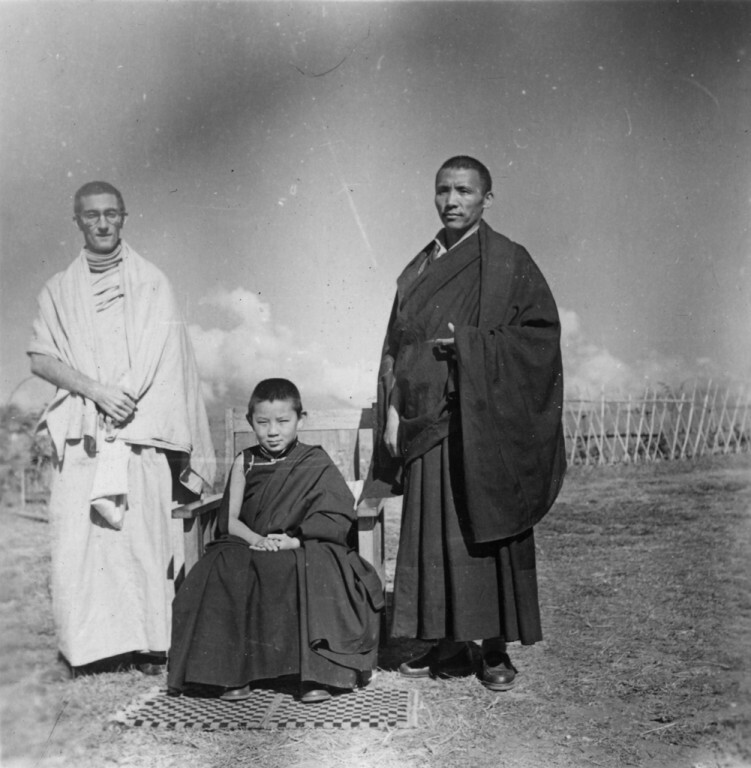 Sangharakshita used to study with him, and from him received many initiations — principally those of the Buddha Amitabha (with the po wa or Consciousness Transference empowerment), Kurukulla and Jambhala. 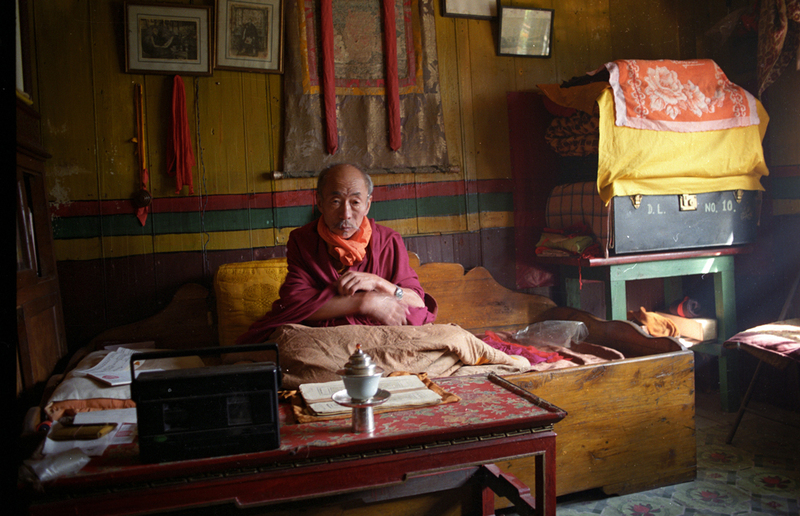 Chetul Sangye Dorje, who died in 2015, was an eccentric, unpredictable character who has lived the life of a wanderer. 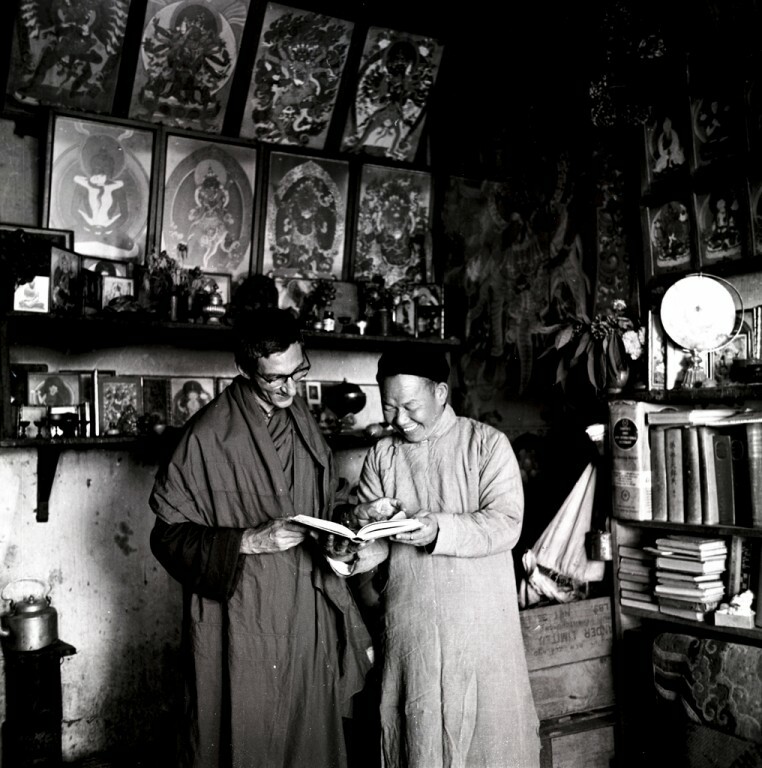 He was highly regarded by the Tibetan monastic establishment for his deep understanding. 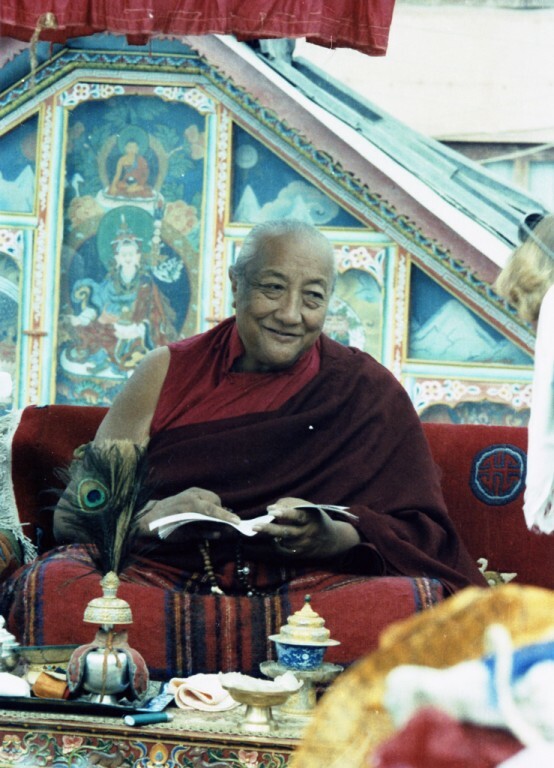 Sangharakshita was certain Chetul Rimpoche was in contact with a higher dimension and was happy to receive from him his first Tantric initiation in 1956 — the sadhana of Green Tara; he did this practice faithfully each day for seven years. 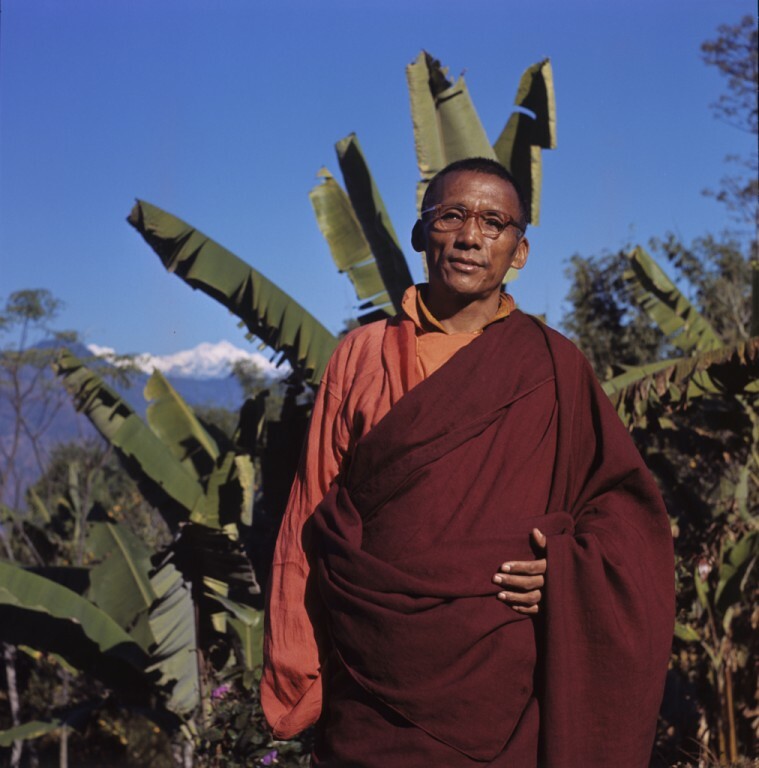 Chetul Rimpoche very much encouraged Sangharakshita and auspiciously named his vihara the ‘Place where the Three Yanas Flourish’. 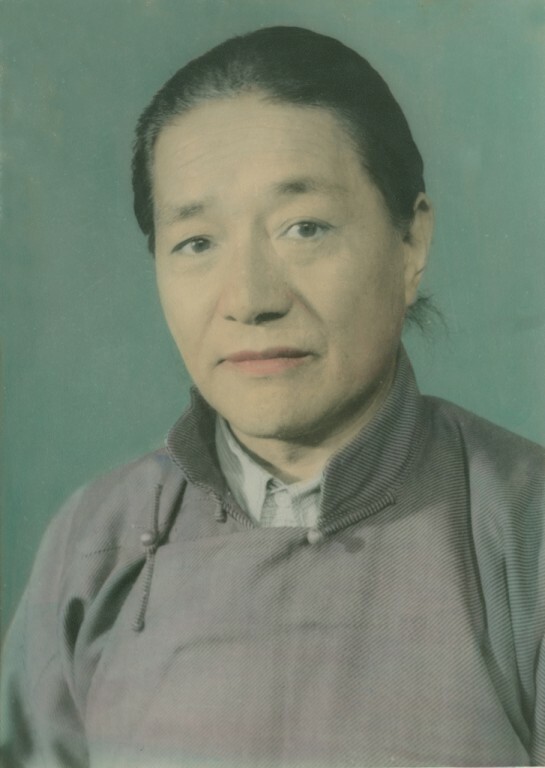 Dudjom Rimpoche, the last of his Tibetan teachers was a married Nyingma tulku and a leading authority on the Nyingma tradition. A spiritually gifted child, he was discovering termas from the age of 5 and giving empowerments and teachings by 14. After leaving Tibet, he had a huge following of disciples, wrote prodigiously on the Dharma and established many temples and monasteries. 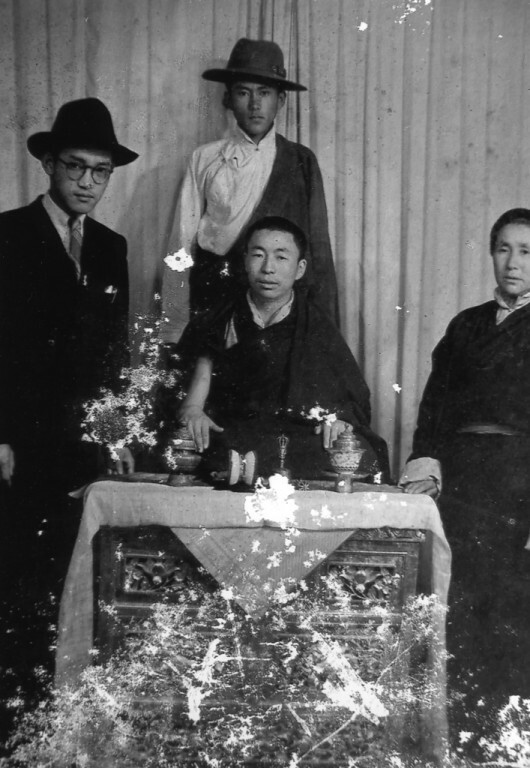 Sangharakshita received a number of initiations from him, including the Vajrasattva practice (during which Rimpoche was wearing a cowboy hat). 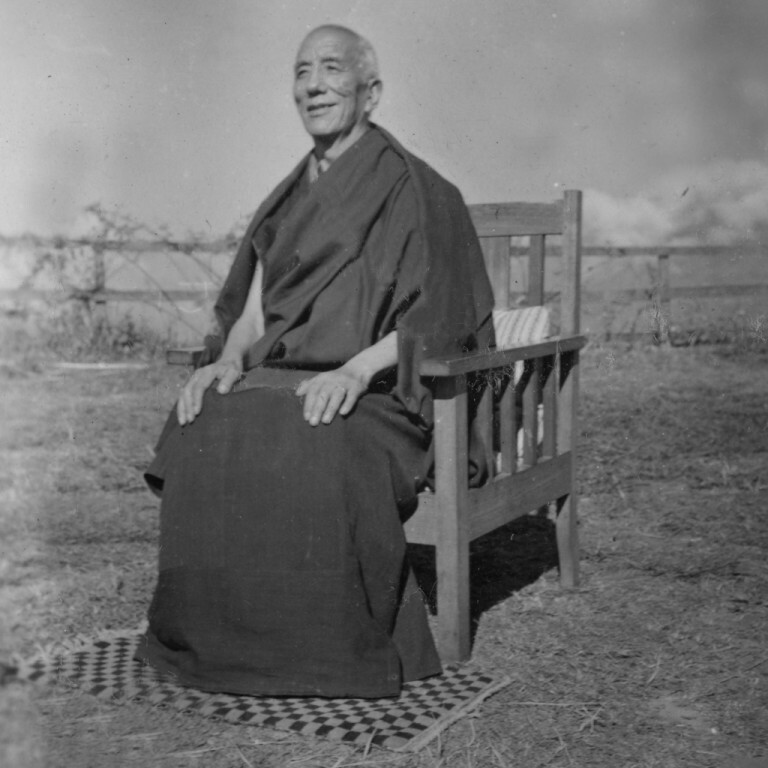 Sangharakshita also studied with the Chinese scholar and yogi Mr CM Chen, a meditation master in the Cha’an tradition. 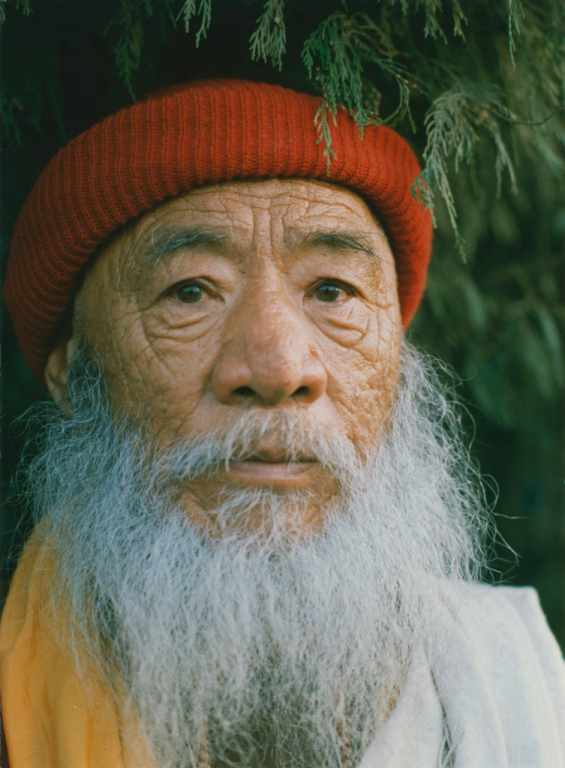 Sangharakshita describes Yogi Chen as having an intense inner life, full of visions, psychic experiences, and a penetrating insight into the Dharma. 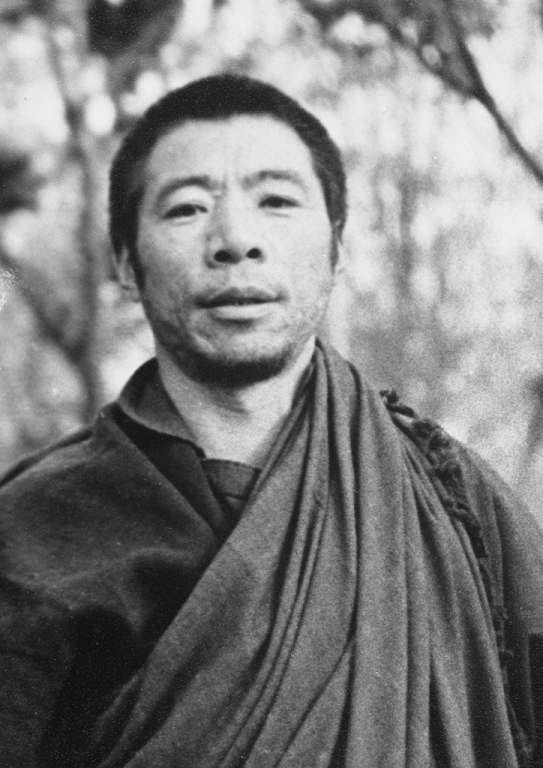 Although living largely as a recluse, Yogi Chen allowed Sangharakshita to visit one evening each week to discuss meditation and the Dharma. 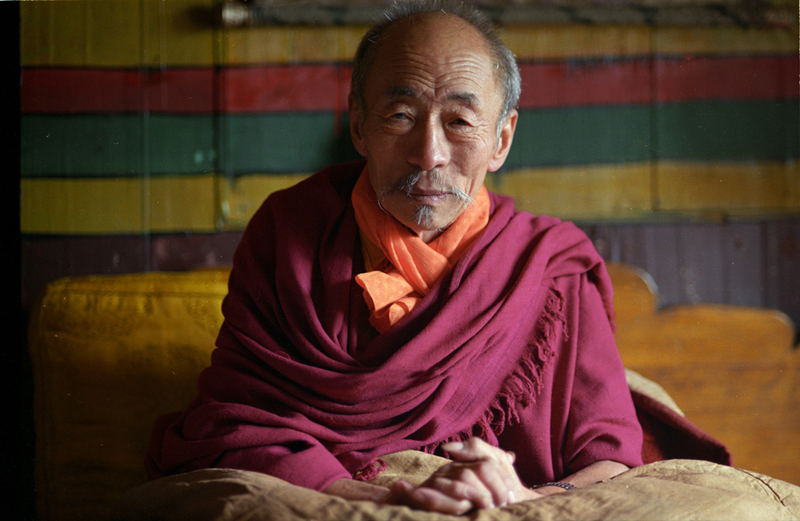 Listen to or read Sangharakshita’s personal recollections in the talk My Eight Main Teachers. 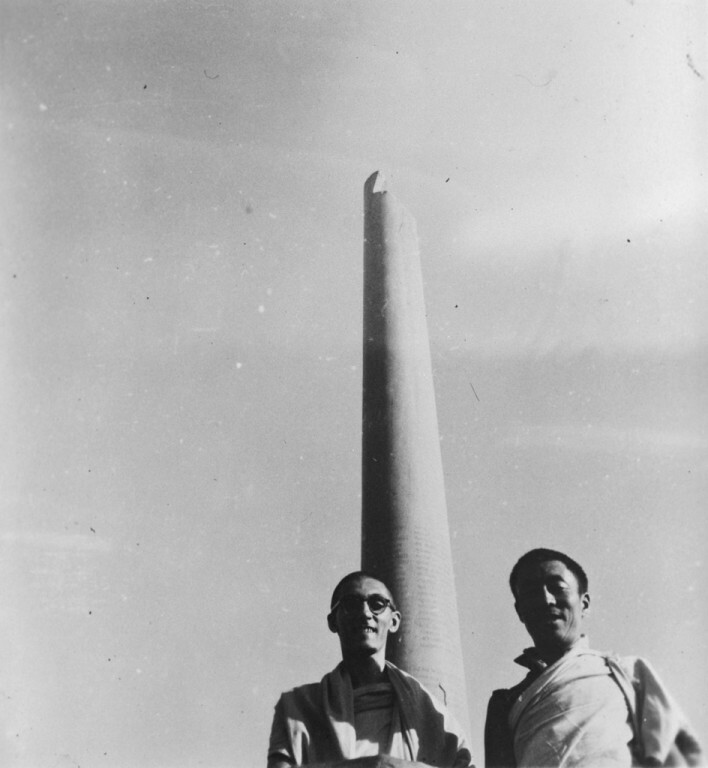 There is also extensive reflection about his teachers in Sangharakshita’s memoirs.